It may help to alleviate temporary symptoms, tightness of the chest and the effects ofallergy, which may be connected to certain (bronchial) complaints of the lowerrespiratory tracts. It may also serve to alleviate the symptoms of asthma, bronchitis and other respiratorydiseases. The salt cartridge contains 5 grams of natural, unprocessed fossilsalt crystals... Respiratory cleaning (sodium chloride, magnesium and calciumin different natural forms). 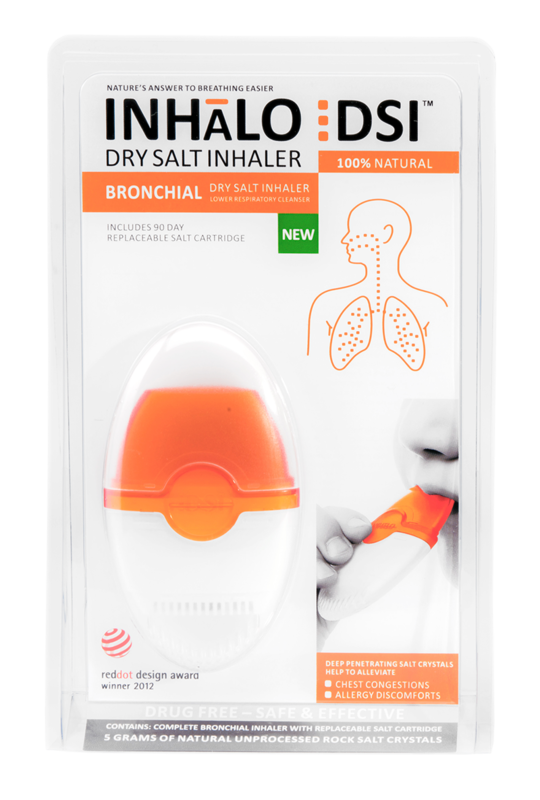 The InHalo dry salt bronchial inhaler may help with the optimum hygiene and health of theepiglottis, thereby alleviating complaints of the lower respiratory tracts.Natural relief free of chemicals and medications. Recommended for adults and children over the age of 3 years. For oral inhalation (lowerrespiratory inhalation). Remove the cap from the device. Use the inhaler for 15 to 20 minutes without interruption, or divide the period of useinto three parts of 7 to 10 minutes every day. 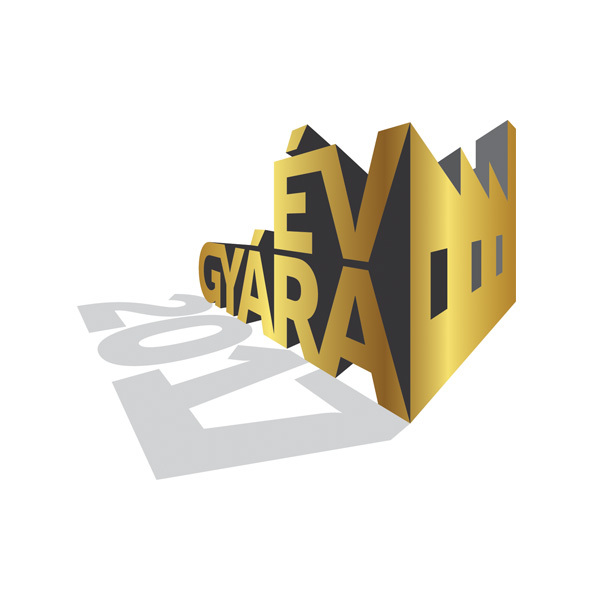 Use it continuously for 21 days.Put the cap back on after each use. Useful advice: Drink a few sips of water before use. This helps to hydrate the lower respiratory tract andallows the active substance to penetrate deeper. Helps in relieving temporary symptoms such as a stuffy nose, congestion and theunpleasant effects of allergy, which may be associated with certain upperrespiratory (nasal) complaints. 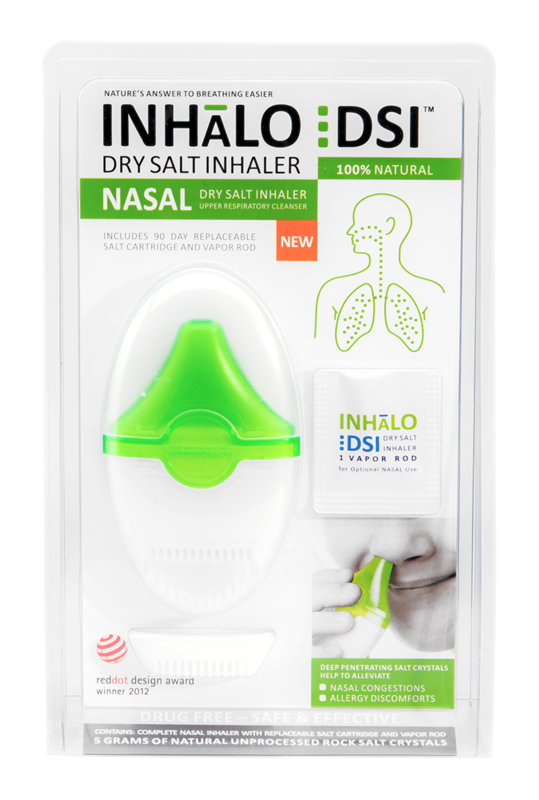 Presentationof the DSI INHALO Nasal Dry Salt Inhaler upper respiratory cleaning device. Mayalleviate: a stuffy nose, allergic complaints and other symptoms that may becaused by certain diseases of the upper respiratory system. • Aromastick (only for nasal use) The relaxing and cooling vapour alleviatescomplaints of the nasal cavity. • Completely natural formula: menthol, essential oil from castor seeds,eucalypthus, spearmint, peppermint, lavender, flower leaf and clove. Recommended for adults and children over the age of 3 years. For nasal inhalation (upperrespiratory inhalation), without aroma stick. Remove the cap from the device. 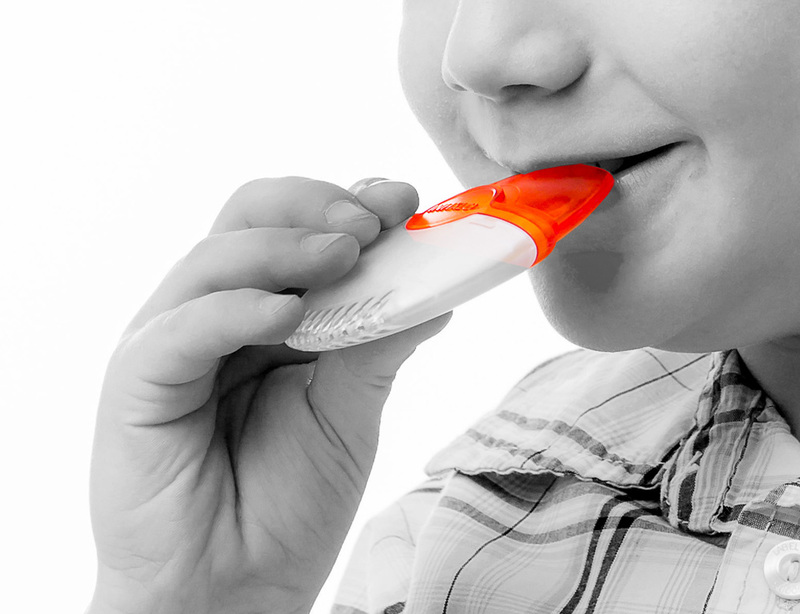 Gently squeeze one nostril, while you gently insert the device with the nasal aplicator in the other, and breathe normally. Afterinhaling, exhale through your mouth or through the nostril that you squeezedshut while inhaling. This exhaling phase is indispensable for achieving the most efficient therapeutic effect. Make sure the air you exhale does not enter the device, because anyvapour in it may reduce its therapeutic effect. ‍Use the inhaler for 15 to 20 minutes without interruption, or divide the period of useinto three parts of 7 to 10 minutes every day. 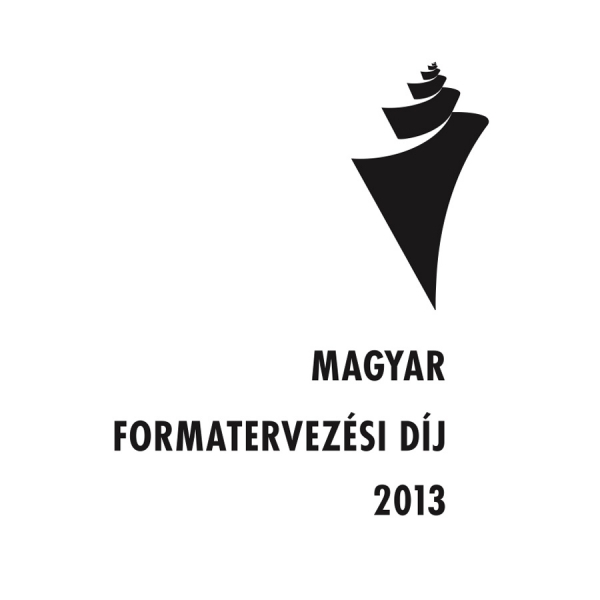 Use it continuously for 21 days. ‍Remove the transparent lower part protecting the cartridge. Insert the aroma stick into the aroma stick holder and press the holder into the bottom ofthe salt cartridge until it clicks. Put backthe transparent lower part protecting the cartridge. Use the inhaler with thenasal adapter three times a day for 1 to 2 minutes each time for the first week. Gradually increase the period of use by 1 to 2 minutes every week, for three weeks. Put the cap back on after each use. The use of aroma sticks is not recommended under the age of 5. The InHalo dry salt nasal inhaler may help with the optimum hygiene and health of the nasal cavity, thereby alleviating complaints of the upper respiratory tracts.